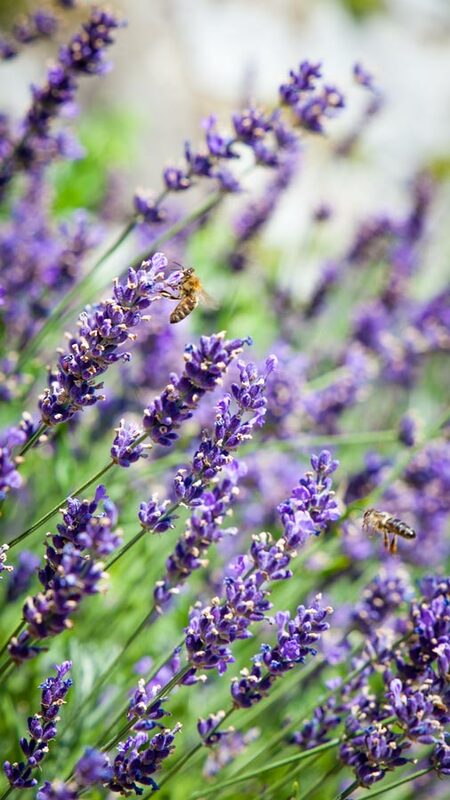 Sustainability isn’t a buzz-word here; it’s a way of life, and while many of us ponder precisely what that means, the Slovenians are tending to their beehives, sipping on fresh wines from local cellars and devouring delicious cheeses at family farms, usually accompanied with a heart-warming grin. 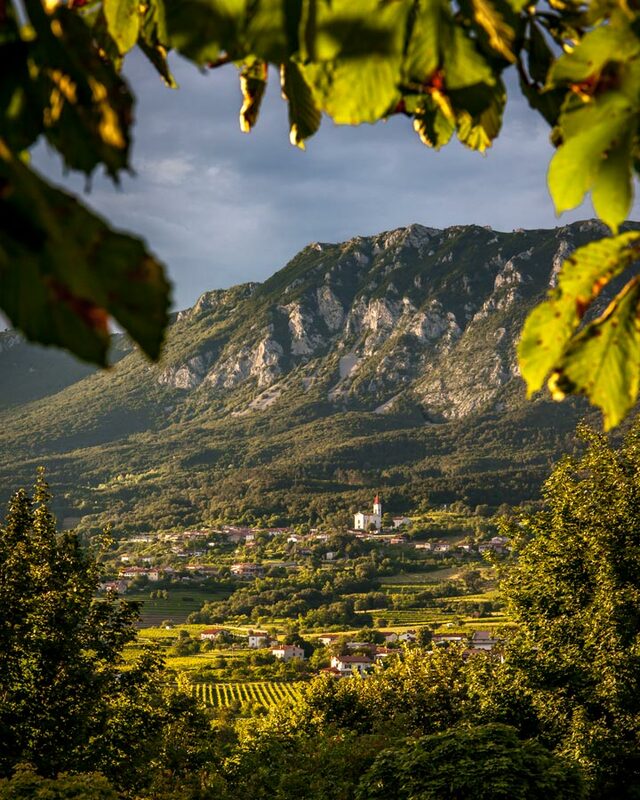 Welcome to the Vipava Valley, a foodie heaven served up with a degustation of luscious landscapes, adventure activities and vintage villages; all washed down from the barrels of an underground world. In fact, so much of the valley is invisible at ground zero, the locals’ joke about much of their home being underground. 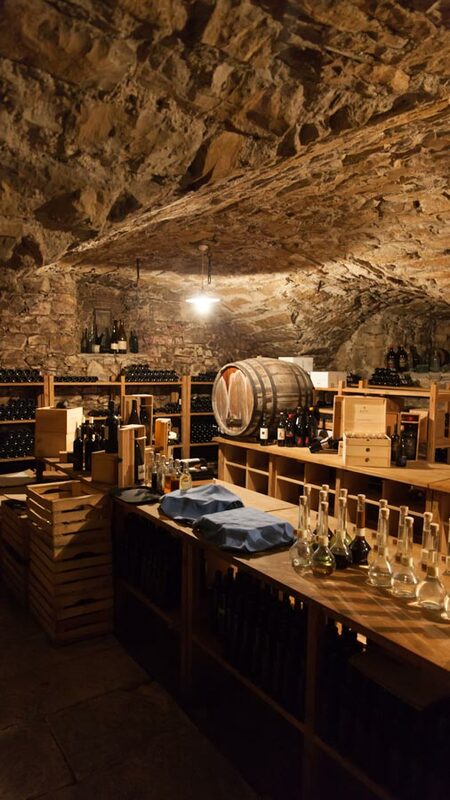 Most people here don’t visit a wine cellar to get their fermented grape juice; they pop downstairs to their own. 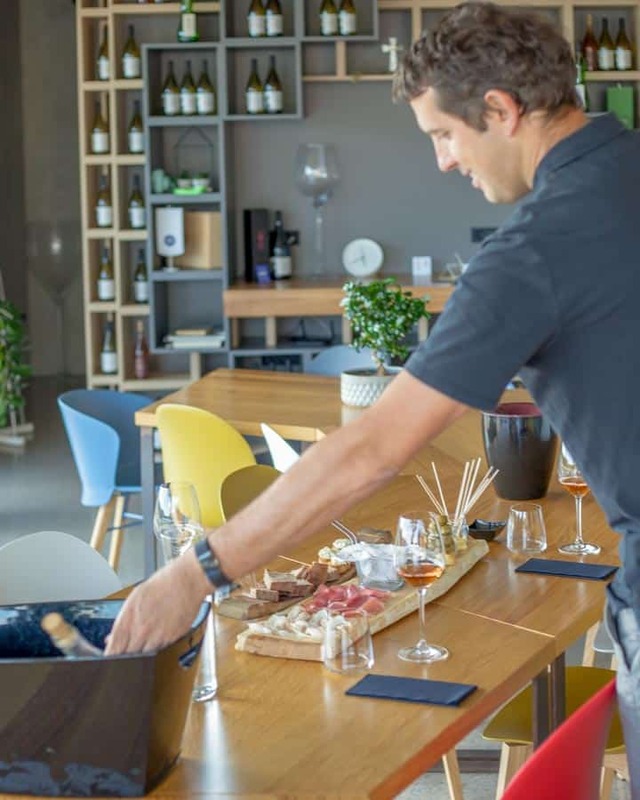 The menu of sustainability here is extensive, from free electric car charging stations to milk vending machines and people refilling their wine bottles at local cellars. You see, in the Vipava Valley they have gone far beyond the refilling water bottle conversation, they are refilling their wine bottles from the source. And with nearly every village in the valley boasting its own natural water spring, you can see why turning the conversation from water to wine is essential, especially after sampling a few glasses of the very palatable local Zelen grape. I’d barely been in Vipava Valley an hour before my first encounter with one of the countless family-run food establishments. 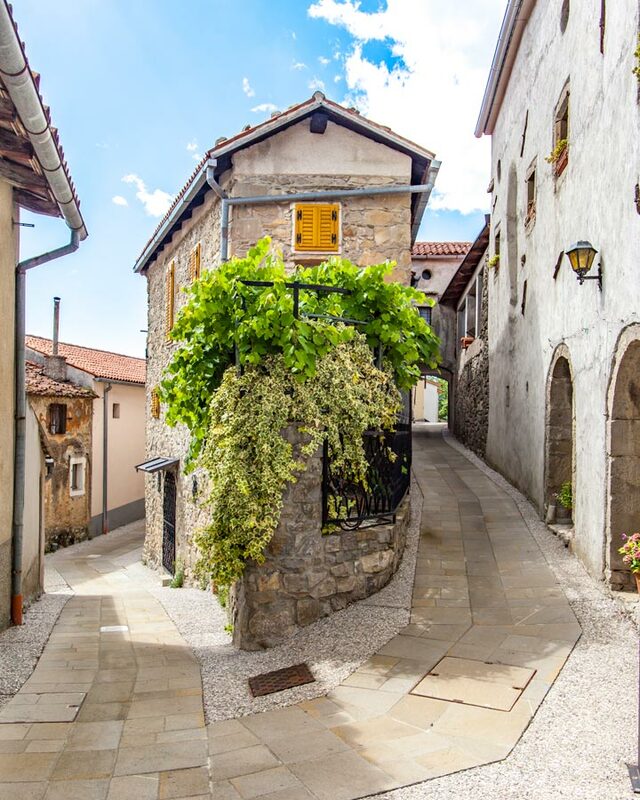 The valley is littered with little villages of white-washed churches and stone houses, where vines dangle above balconies and terraces to provide a natural barrier to the suns rays. 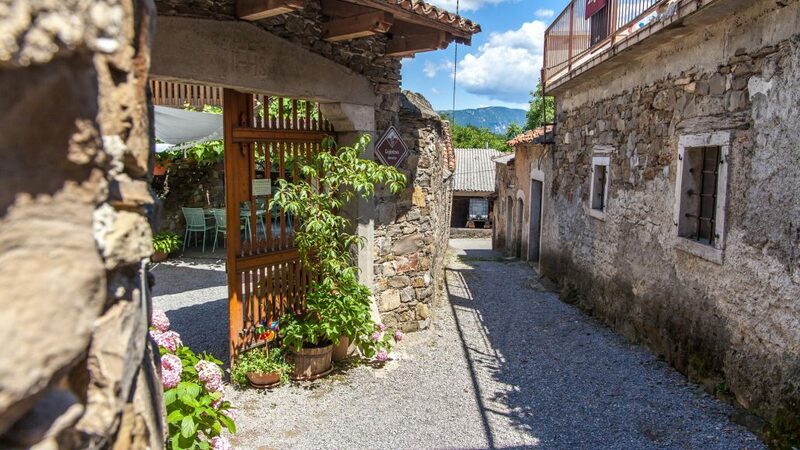 Dogs lazily stretch out while owners tend to their grapes or craft meticulous dishes in kitchens, and it was down a little side alley that I settled into a small garden to sample my first flavour of the Vipava Valley hospitality. Arriving at Cejkotova Domačija in Goče was like unwrapping a surprise gift on Christmas morning. This sleepy little village, the oldest in Slovenia, is somewhere you would easily skip if you weren’t in the know, but at this historic family home with just a handful of tables on the terrace, I was about to discover exactly why this part of Slovenia is a foodies dream. Davorin welcomed me with a friendly handshake, before showing me around the home, complete with black and white photos of what it was once like, although still relatively unchanged now. 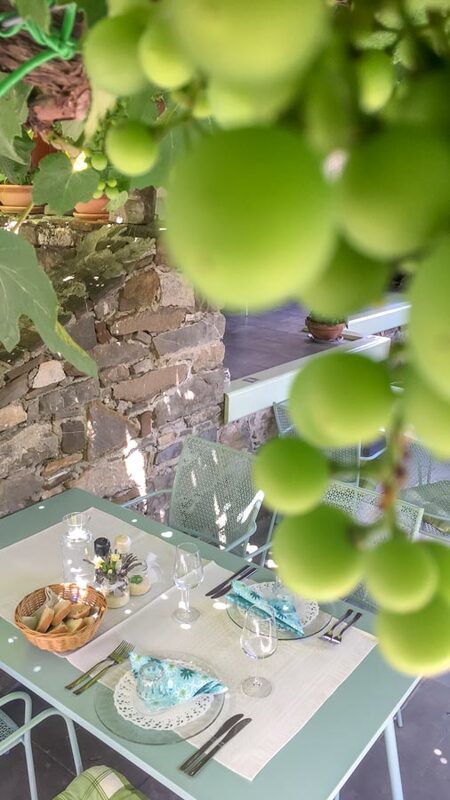 As I settled into the comfy chair on the ground floor, the sun flickered through the vines above, and home-made wine was poured to accompany local cheeses. Each course was more delicious than the last, and when I popped my head into the humble kitchen to see where this heavenly goodness was coming from, the smiling faces of a mother and daughter team greeted me. Davorin’s daughter was training to be a pastry chef and the perfectly light cream tart she seamlessly whipped out for dessert showed off her skills. 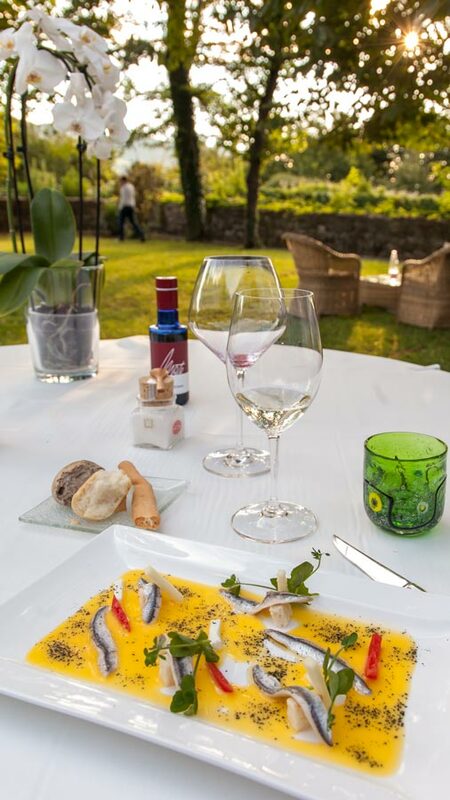 Being so close to Italy here, the cuisine is a real mix, but every meal was seasonal and local. More than once over the trip I’d gawp in awe at the rolling hills of vineyards and declare it was just like the Italy you see in the movies, hoping the comparison wouldn’t offend any of my new Slovenian friends. 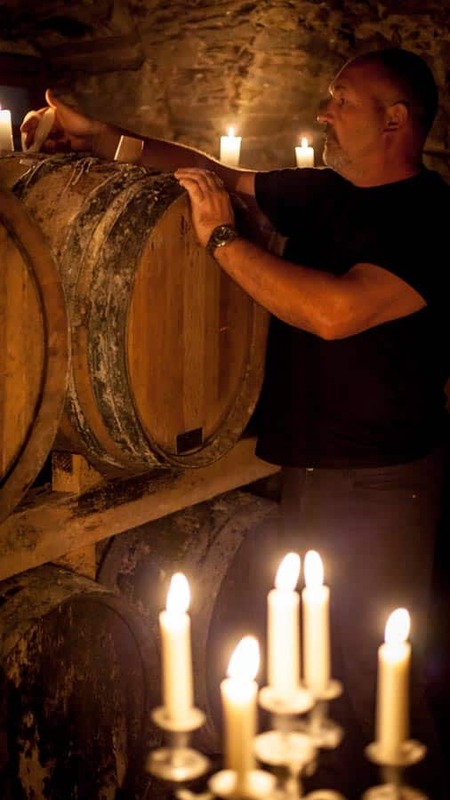 Lunch was rounded off with a trip down to the families cellar, with only candlelight to guide us as the wine was lifted straight from barrels. It’s a given you would need a reservation to enjoy such a personal and intimate meal, so take this as your heads up to book in advance! My first stop before entering the valley proper though was Stanjel, the oldest settlement in the Karst area. With a prime position and a fortified castle dating back to the Roman times, it offers you a first peek into the valley from its vantage points and is undoubtedly worth a pit-stop if driving in from the gorgeous capital of Slovenia, Ljubljana. 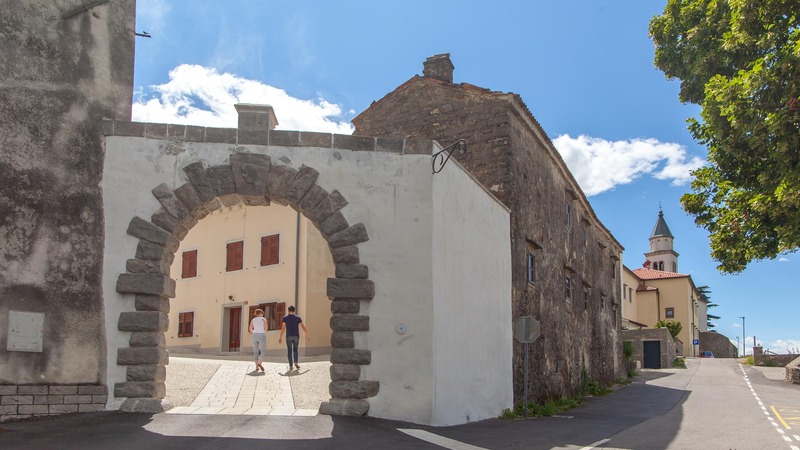 The 16th-century castle and the houses of the village, which were extended after the Turkish invasions stopped, has been destroyed in both world wars but it has been well restored. You wouldn’t know it had endured such tragic damage without getting the debrief in the friendly tourist office. 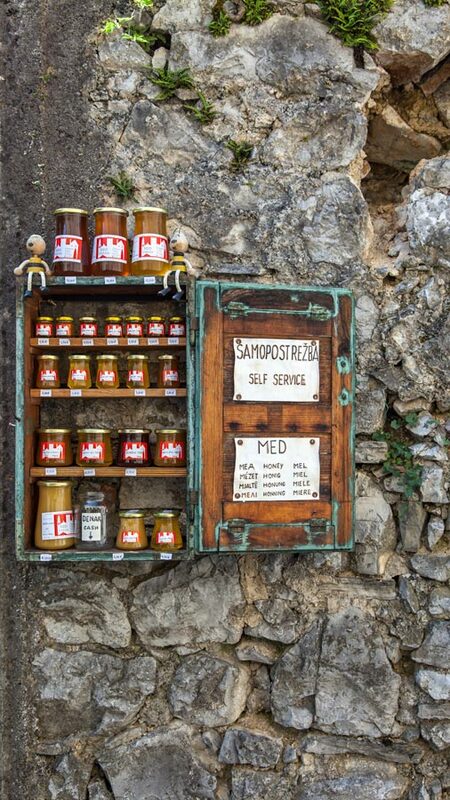 The small village is adorable, and here honey from the local beehives can be brought on a trust system while less than 50 available beds for tourists make it a remote over-night stop to connect with nature firmly. 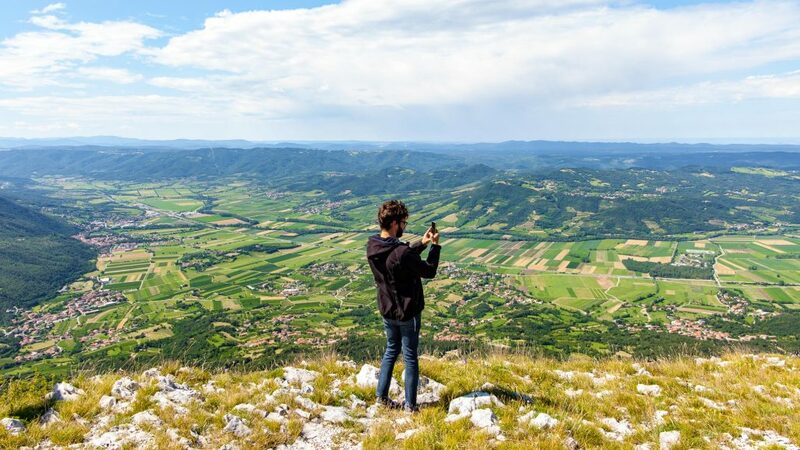 I’d hear from many people throughout my visit to the region that while a lot of youth especially had moved onto to bigger cities, people were now making their return to the homeland and nature of Slovenia’s stunning countryside. ‘What do we have left if we don’t have traditions?’ Jani, my guide, pondered with pride while personally recounting the tale of starting his business here. And as the secret has slowly slipped out about this slower-paced and stunning retreat, more opportunities for opening business have been pounced on by the entrepreneurial spirits of those wanting to move back to their native villages. Community has always been strong here though, with the castle used for schools and other public purposes, and not kept exclusively for the family that owns the estate. Walking the small streets of Stanjel, where previously closed off homes were enjoying a new lease of life as accommodation was the perfect introduction to the passion and pride I would encounter throughout my visit. Each family I would meet during my stay had a different story that they were excited to share, and that’s what made exploring this region so special. It was never time to attend just another wine tasting or meal, it was instead time to befriend a new stranger, to hear personal stories, and to share delicacies and drops of wine in their home like long-lost family. 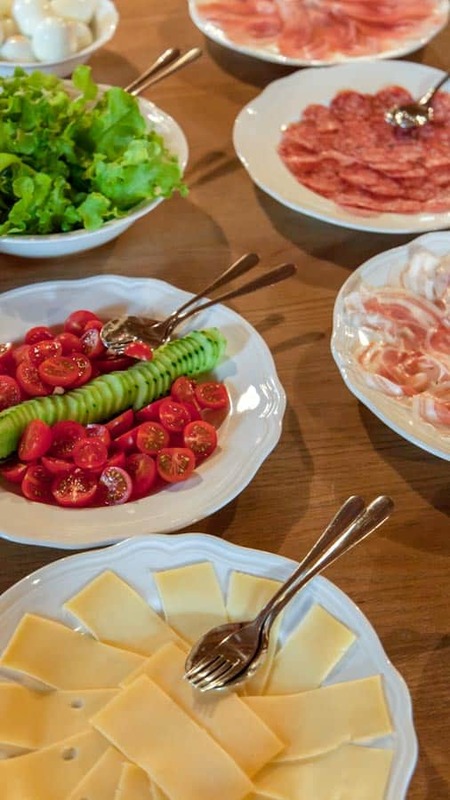 My stay in the Vipava Valley wasn’t just feeding my stomach, it was feeding my soul with much needed warm vibes, family ties and never-ending stories of passion above profit. I felt like I’d stepped back in time a little, to a world where community came before corporations, and I was already dreading my scheduled return to reality. Preserving the culture and staying sustainable extends beyond the menu here, and as I checked into the family-run restaurant-come-hotel that is Majerija, I knew I had found a gem. 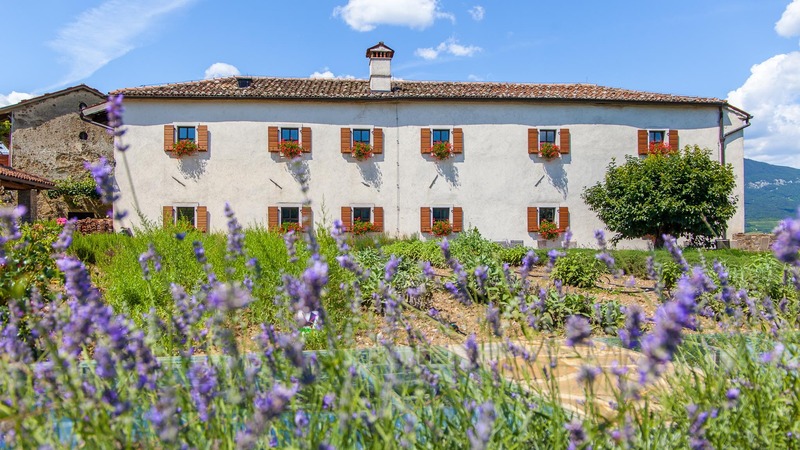 Flanked by herb-gardens for the kitchen, lavender plants abuzz with bees, and situated in the heart of the valley, the property didn’t seem big enough to hold the number of boutique rooms it boasted. 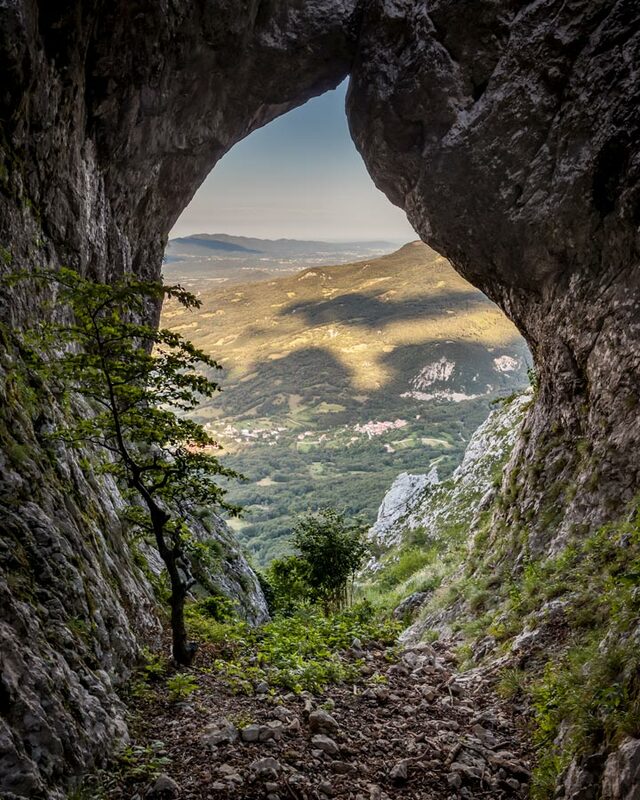 But, as with much of Vipava, the answer was hiding underground. The Majerija House was originally built in 1700 and gradually expanded to included outhouses for wine production and stables, before being sold by the Count who owned it. To cut the story short, eventually, it passed out of the original families hands and was brought by the current owners. Being a cultural monument, the building had to be preserved and a painstakingly slow, yet beautiful project endured which saw the restaurant open 12-years after refurbishment started. With no room to add accommodation and the exterior of the building protected, a creative project saw modern underground rooms built with skylights and individual touches. The restaurant served me up delicious meals and wine all locally sourced, with daily market trips to gather both breakfast and dinner ingredients. The rooms provided a perfect escape into an underground land, and of course, a well-stocked wine cellar completes the package. Even if you aren’t staying here, the love that has gone into the restoration makes the restaurant a real must visit. Also, how often do you get to visit a place called Slap? For those wanting to tackle a more adventurous side to the valley, mother nature has worked her magic to keep you entertained. While cycling between villages and vineyards might be enough exercise to allow for another guilt-free tasting menu, the towering mountains and famous Burja wind also provide ample opportunities to embrace nature. But how does this wind render itself to the adventurous? Paragliding. 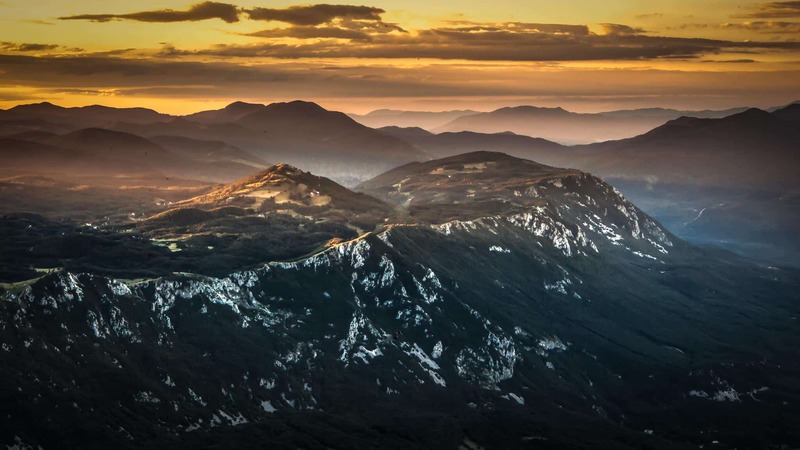 This small corner of Slovenia is famous for those wanting to fly through the air, and I can only imagine a birds-eye view of this incredible landscape, with the coast, Italy, and Croatia on your peripherals would be sublime if you don’t suffer from vertigo like myself. 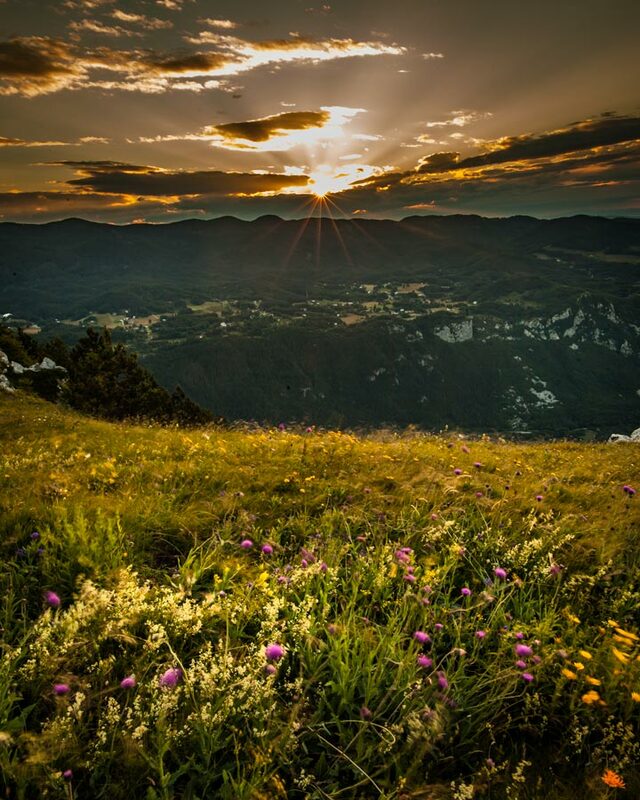 Another bonus of Slovenia in general is it is one of the more affordable places to travel in Europe, so you can enjoy a slice of an alpine country without paying Swiss prices for example. I did embrace at least the hike part of the hike and fly adventure, and on a slightly chilly morning, before the sun broke over the higher peaks in the distance, the peaceful calm of this verdant location was amplified. The rays casting through the clouds marked another day of wine-tasting and storytelling, but a hearty hike through well-marked tracks, past grazing cows and taking in the natural window on Vipava Valley, the Otlica Window, was the perfect morning activity. The impressive Karst landscape that hugs the valley is ideal for strapping on strolling boots, pumping up the tires of a mountain bike or taking to the skies with the help of the Burja. 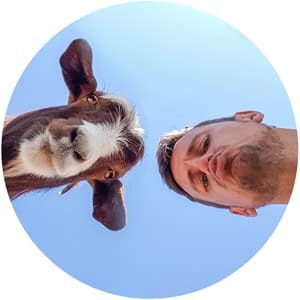 Jani knew the valley like the back of his hand, and his start-up company has blossomed in recent years arranging a mix of day trips, tours, and full travel itineraries through Vipava Valley and Slovenia with his connections. Whether you want an activity-laden tour or a lazy bike ride between wineries, I can not recommend this man highly enough to help you make this happen. 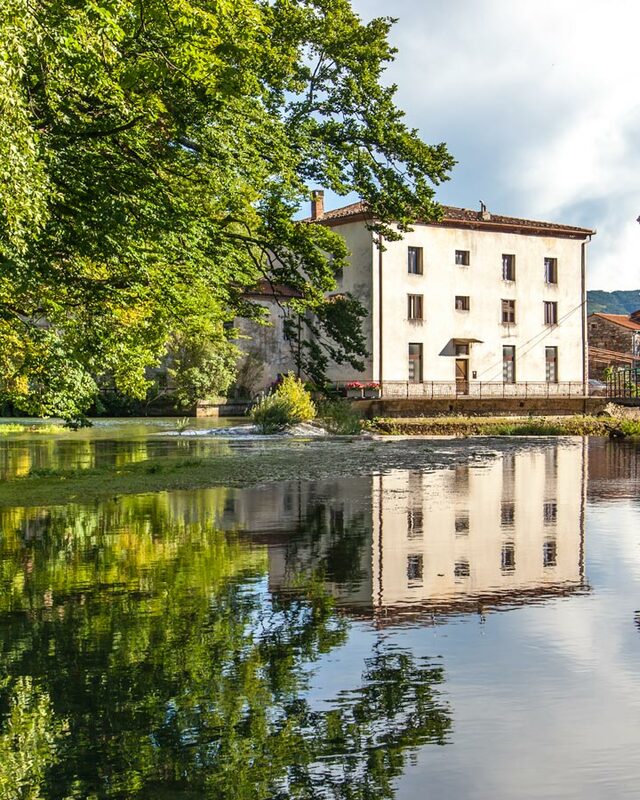 From early morning hikes to last minute requests, I genuinely believe one of the reasons my Vipava Valley itinerary was so memorable was thanks to the passion of Jani and the Wajdusna team in meticulously planning my visit to personal taste. 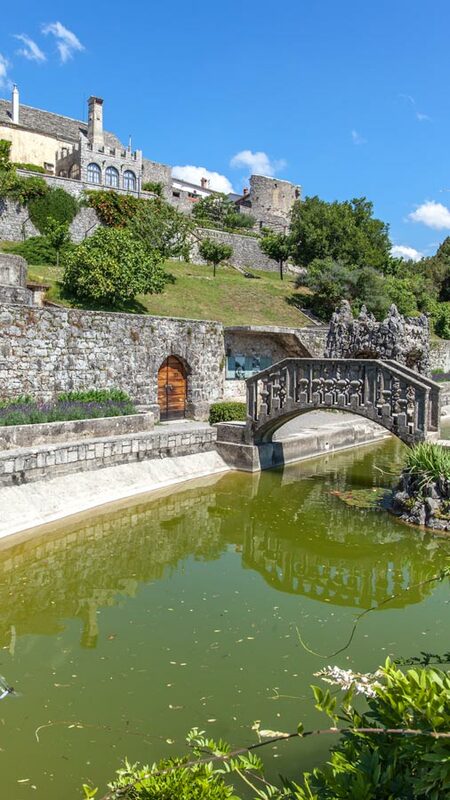 The history of Ajdovščina is evident the second you walk through the old city walls, complete with turrets. In fact, one of these turrets was the very reason we were here. Five years ago Matej founded Faladur, what started as a local produce store built into one of these turrets. 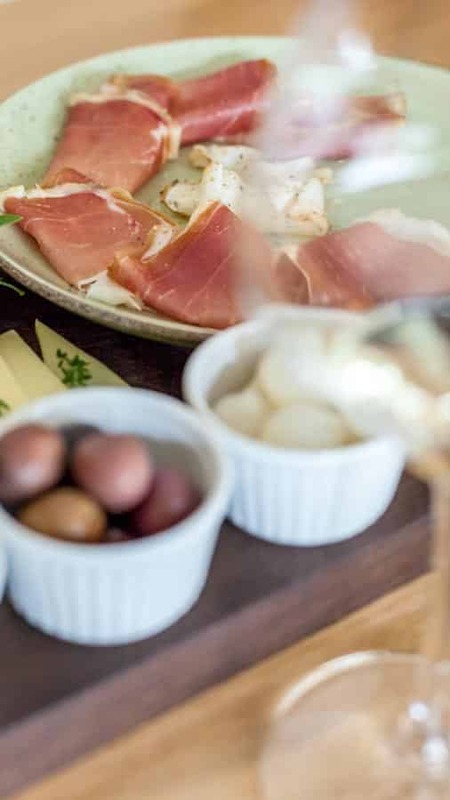 What began as a shop with a passion for selling the best of Vipava slowly blossomed into tastings, snacks and then a restaurant. Learning from Ljubljana’s successful predestination project, Ajdovščina is currently going through the works to follow suit, but Matej told me the handful of tables that were inside would normal be basking in the glorious sunshine on the terrace. The number of tables are purposefully kept low to ensure service, and personal recommendations can be delivered, and boy, the lessons I learnt about the food and wine pairing in the following hour felt like having a personal chef. As I sank my teeth into delicious vegetarian salads of green beans with subtle seasoning and fresh cut salmon that melted in the mouth, the small team worked diligently with such a focus on detail I was impressed. Locals nipped in to refill 5-litre bottles with wine or to pick up olive oil and by the time my favourite dish arrive, polenta with pancetta, quail eggs and raw garlic, I yet again felt like a friend in his home. Hospitality is one thing they have in excess here in Vipava, and accompanied with the craft beers of Ajdovščina it tasted delicious. 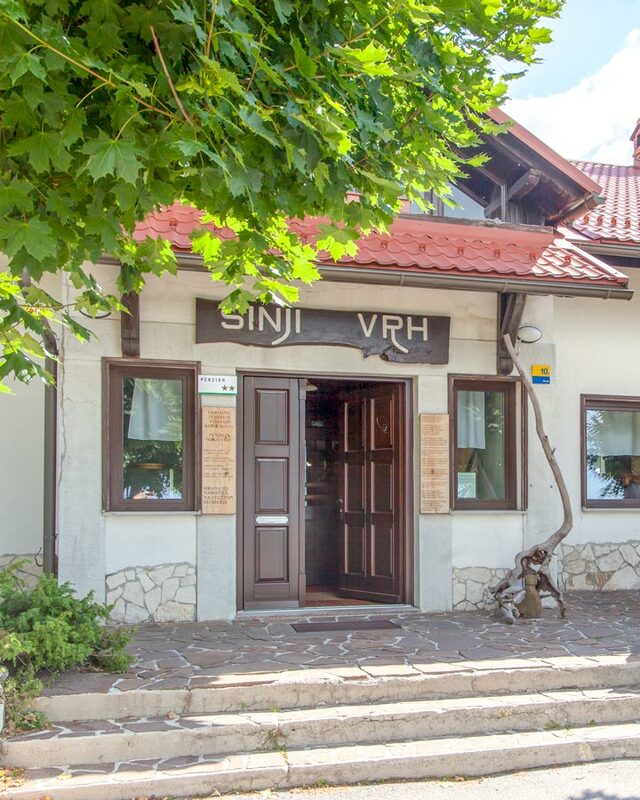 On the upper part of the Vipava Valley, a spread of cured meats and cheese would await me as I arrived at Sinji Vrh, with its breathtaking views over the valley. Surrounded by forest trails and at an elevation of 1000-metres, this retreat is much more than a restaurant serving delicious dishes. 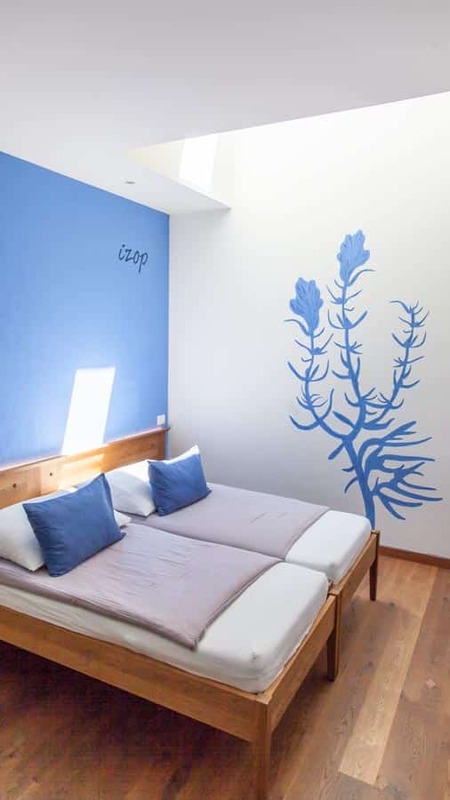 Here a host of accommodation and workshops take place and it has become well known as an artist escape for many across the continent. 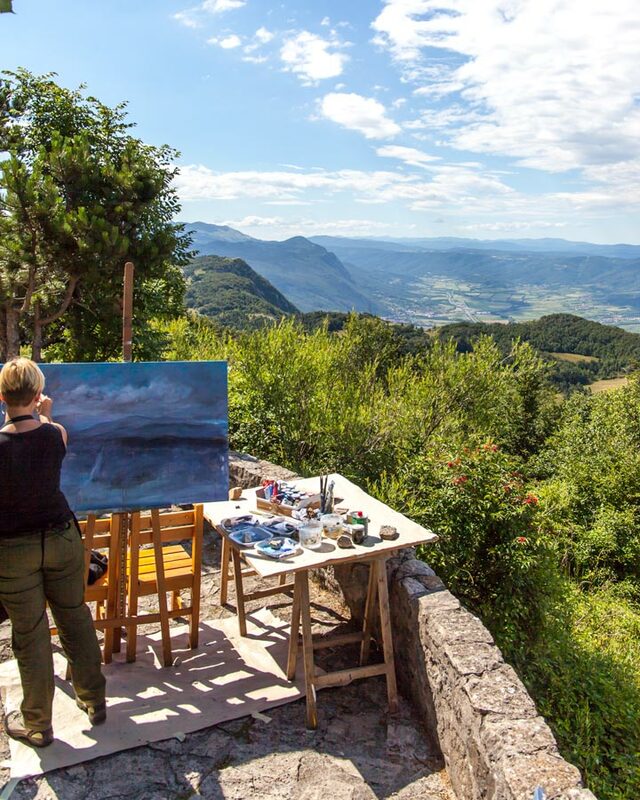 You can draw inspiration from the farm, sleep in large group accommodation or a basic and typical stone house and then paint, draw or create to your heart’s content with scenery and fellow artists as your company. It’s a special place to swing by and soak up the energy alongside another tasty meal. 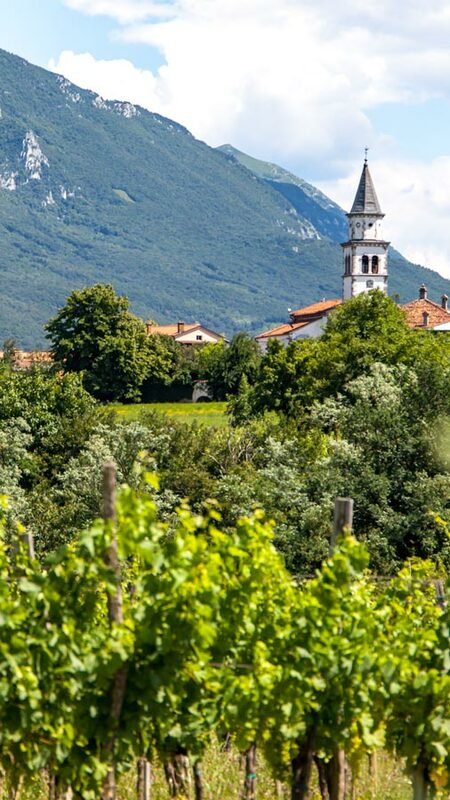 The famous and local grape of Zelen makes for a crisp, refreshing wine that can only be found in the Vipava Valley. At Pasji Rep, where four generations of wine production have focused on this indigenous grape, you can sample it both from the cellar or the tasting room, and if lucky, the Merlot only produced during especially good vintages. 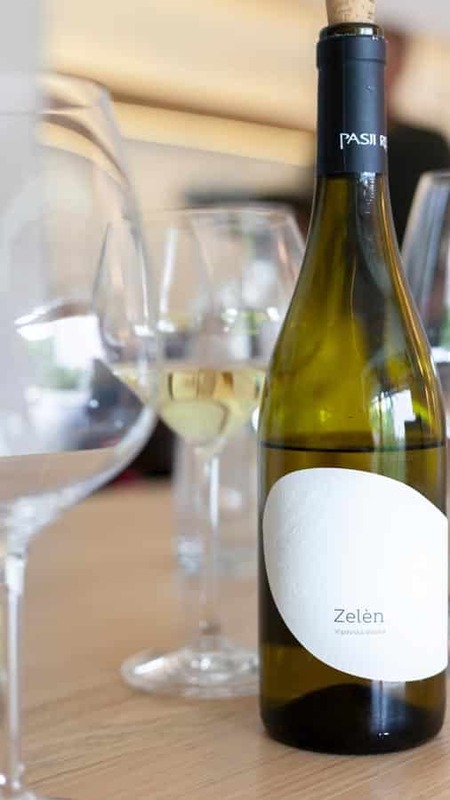 The prized grape of Zelen nearly disappeared, with only 2-acres of the vine left at one point. Franc, the father and his friend, set out to replant and regrow the grape and now produce around 150,000-litres per year. 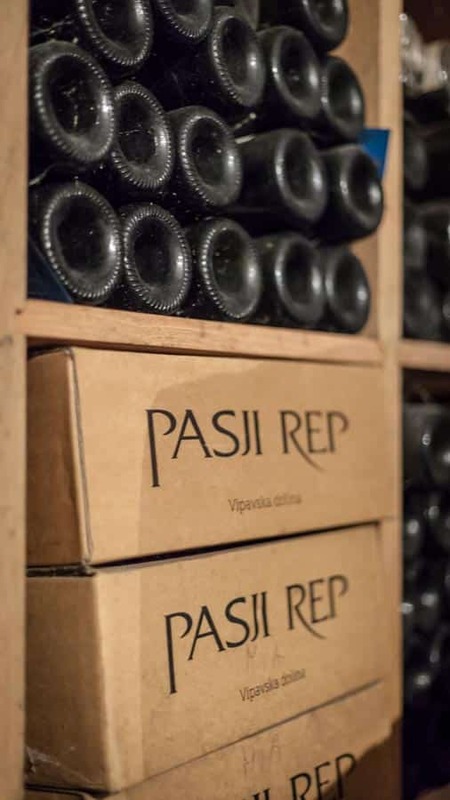 The Pasji Rep brand is one with both history, pride and stories of not giving up behind it and whether you join a tasting with Franc or his son, you’ll quickly realise how much effort this family have put into preserving this boutique wine. As the first cork was removed at Lepa Vipa Winery, Mattia pauses pouring to alert Alena his wife to the tiny bird trying to access their barn. As she steps out to slide open the great door, Mattia explains sometimes their flying friends need a hand accessing the birdhouse they have built. 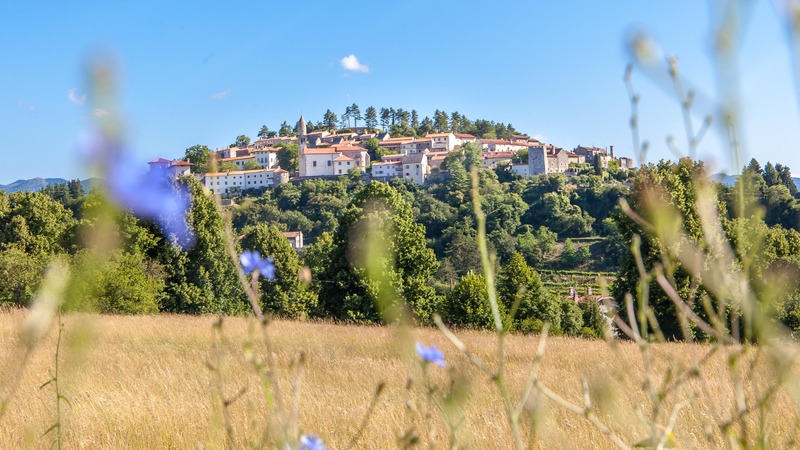 The community in Vipava Valley isn’t just about humans, it is about nature living in harmony. ‘People in the village come to help pick the grapes, everyone helps each other out especially for harvest. Community for us is with family and friends’ Mattia mentions while loading the table with more mouth-tingling treats from his friend’s businesses and farms while Alena tells me about their two children. It’s meetings like these that put you at ease. I thought back to my first visit to Slovenia six-years prior when I left declaring Ljubljana the cutest, and the most friendly capital city I had ever visited and was reminded of the moments then, and now, which make Slovenia such a special place when I recount my travel stories. 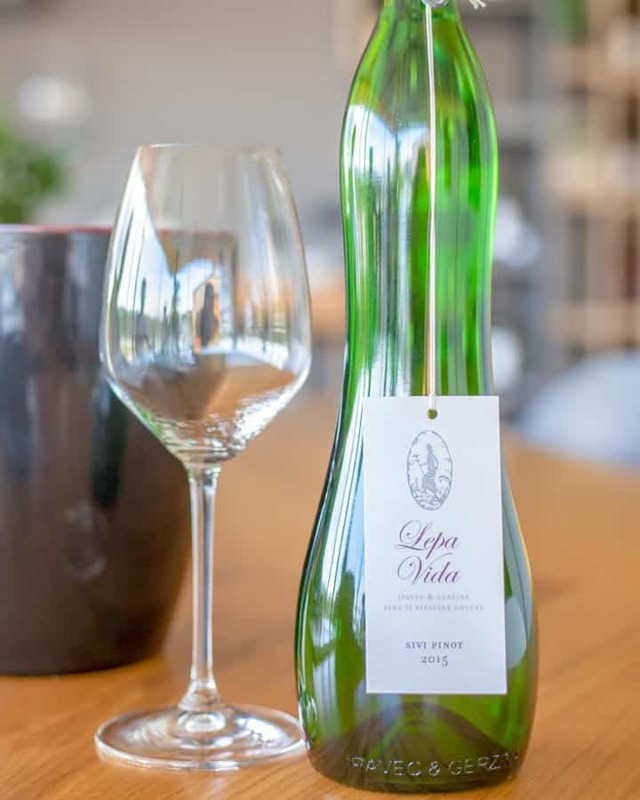 The Lepa Vida vineyard expands across six different locations, as the plots were split during the Austro-Hungarian empire. The unique terrain, famous wind and separate plots create micro-climates here which aid the wine production. I heard locals say more than once that snow is measured in hours not centimetres in Vipava, which gives you an idea of how quickly the climate can fluctuate. The business is a baby, only opening in June 2017. Mattia and Alena met in Australia and wanted to create a place where they could share stories and wine with guests, although wine production was never their main background. From the seed of an idea and a newly constructed tasting room, Lepa Vida was born. Hearing how their love story had become the wine we were sipping, I couldn’t help but feel more than a little jealous at the beautiful life they had built here at home as I sampled the unique orange wine from their equally unique bottle designs. By now I’ll admit I was a little tipsy and ready for a degustation dinner, but pulling into the campsite of Vina Saksida I was a little confused, though knew not to be concerned after all of the surprises I had encountered so far. Yes, this was a campsite offering tent pitches alongside a swimming pool, but as I had grown accustomed to by now, there was also a wine cellar, there was wine production, and the restaurant was, of course, going to be both delicious and stylish. 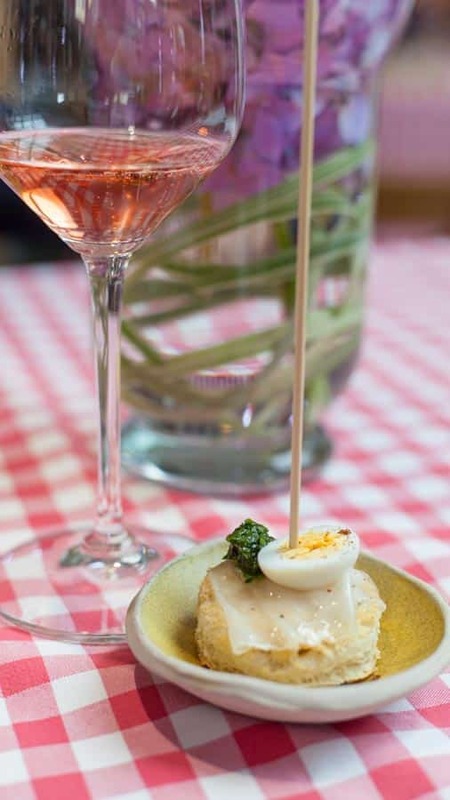 The dishes and wine-pairing flowed with ease as the family-produced wines washed down dishes ranging from deconstructed stews in test-tubes to tender pork-cheeks in rich sauces. 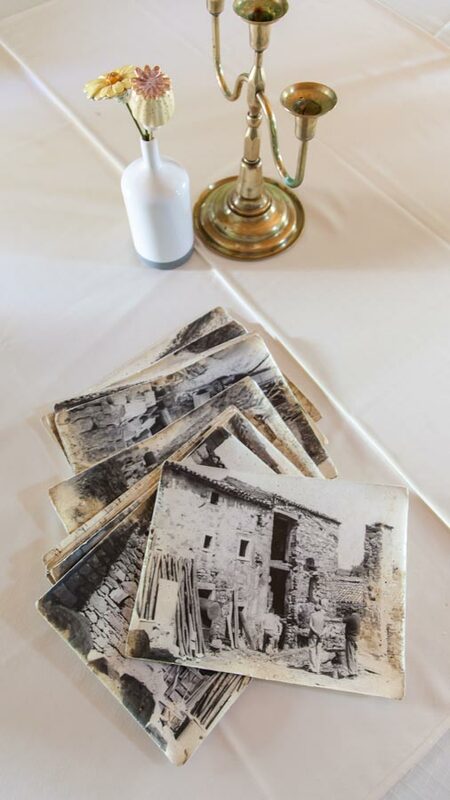 ‘This is home-cooking and local dishes as our grandmothers used to do’ I was told, struggling to believe that all the grandmothers in Vipava hadn’t been Michelin starred chefs. As a beautiful sunset faded into the vineyards, more dishes from the extensive menu arrived, and for the first time in a long time, I felt complete and utter relaxation and contentment. 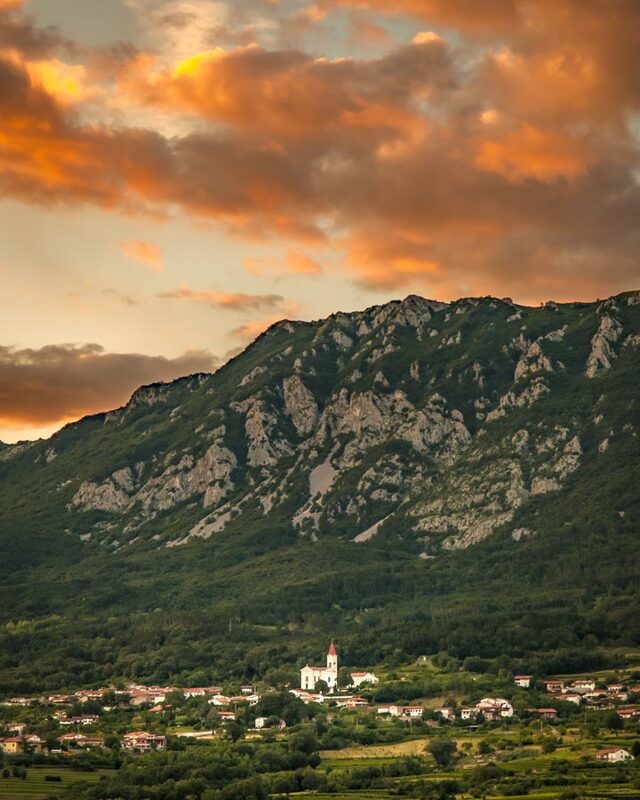 If you want to escape to the good life, Vipava Valley is where you can. 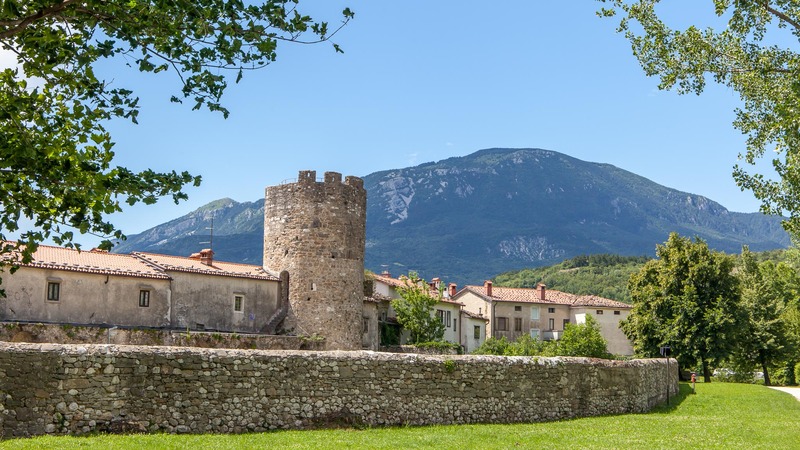 Given the name of the Valley, you might assume that Vipava itself would be the largest town, but this quaint spot doesn’t lay claim to that title. Wandering through the vintage washed buildings, where cafes and bars spill out into shaded gardens, or outside bars sit alongside rivers so still they look like mirrors make this an ideal pre-dinner drink spot or a place to dine, though certainly don’t make a beeline here expecting it to be the main buzz of the valley. 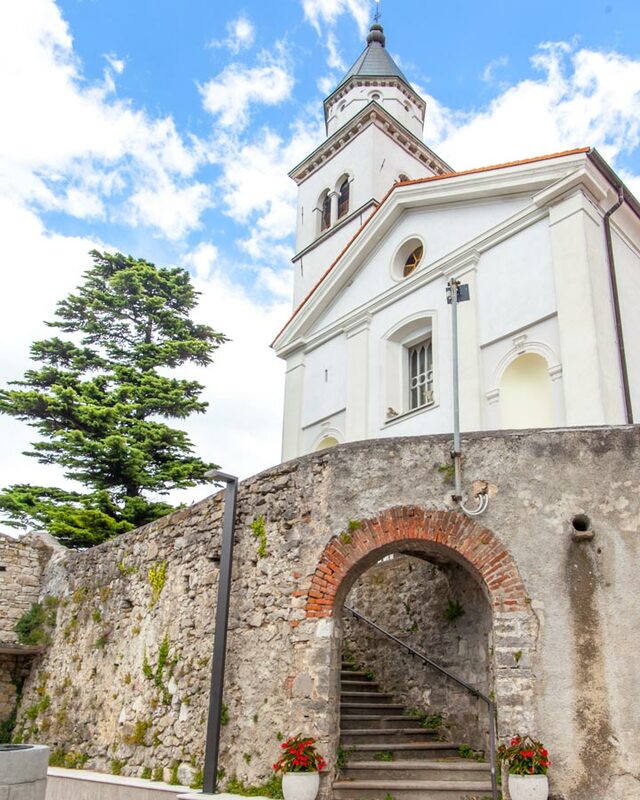 With so many villages to choose from during your Vipava Valley visit, it can be hard to narrow down, but I highly recommend taking a guided tour through the 15th-century village of Vipavski Križ. Situated on an old trade route which has seen Ottomans traversing its paths, the fortified walls of the castle now lay pretty devoid of people inside, so much so you can pick up a derelict house here for just a euro, providing you put in the restoration effort. That’s not to say it is all in disrepair at all, with many charming houses and buildings having been restored along these cobbled streets. A unique flooring system of different colours highlights where the royalty and influential people were separated from the working class who lived inside. Of course, like any good tour in the Vipava Valley we ended up in an underground cellar sampling wines, before hitting up the well-stocked local store full of bespoke chocolates and Vipava produced gins where Mirjana, the owner, gleefully walked me through all the treats in her store-come-cafe. Jani had saved the best till last, and as we drove into Castle Zemono, with a prime position and stunning views across the valley both during the day and for sunset, I was captivated by the charming Villa that was now a restaurant. 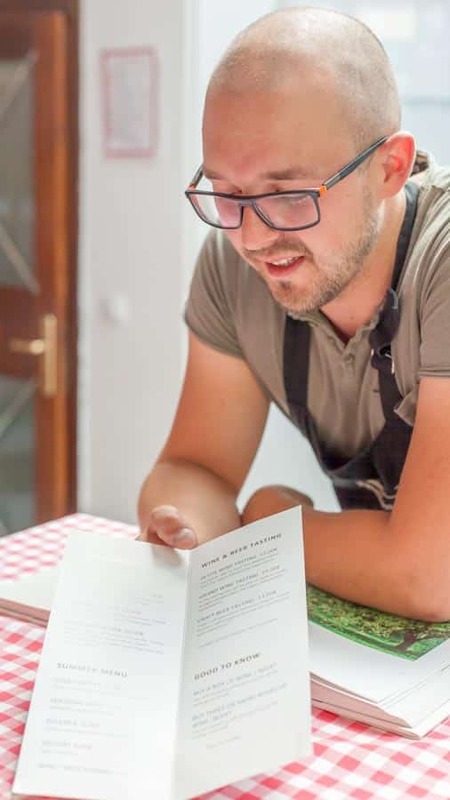 A little fact that surprised me throughout my visit is that Slovenia is devoid of a Michelin star, which seemed crazy given how much passion goes into both the food and service here. After the incredible meal that was to follow through, served up by Tomaž Kavčič, undoubtedly one of the best and most famous chefs in the country, I was convinced this place deserved at least one if not two. At Gostilna Pri Lojzetu I was welcomed in the most friendly of ways. Coming from a high-end restaurant background I prefer relaxed restaurants, and the welcoming here consisted of a small bottle of wine and a spread of thick soup and baguette on the table. 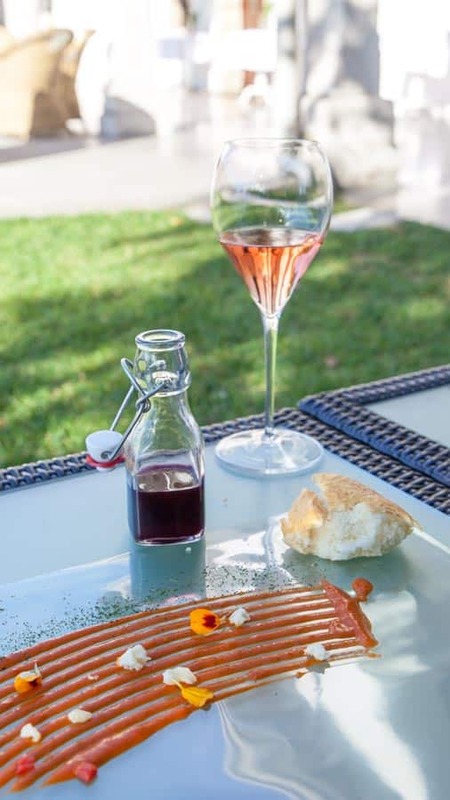 You sip the wine from the bottle, tear the bread apart to mop up the soup and instantly, as intended, you feel at home rather than in an uptight restaurant. The philosophies of Tomaž are just these. Culinary genes have run in the family for three generations, from his mother to his daughter who now works here. 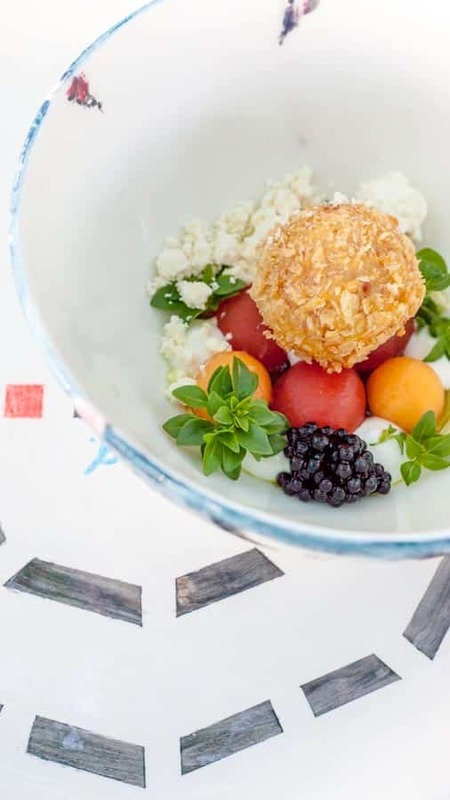 The restaurant has moved from a small, traditional and humble beginnings into this world-class venue, which often hosts weddings, and is highly regarded as being one of the top restaurants in the country. 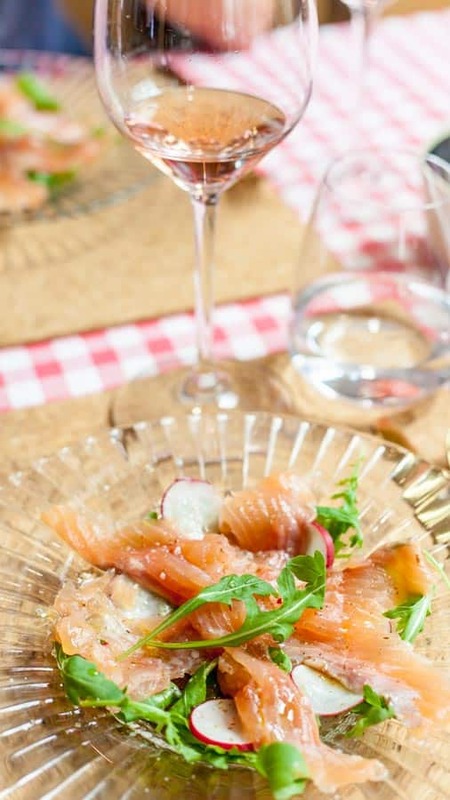 While the wine-cellar is well stocked with over 800 wines and champagnes from around the world, the degustation menu I devoured stayed true to form and was accompanied by local Slovenian wines only. The dishes that followed were a real journey of the senses. In a non-ridiculous way, perfectly cooked fish stacked on rock hard salt was accompanied with a finger bowl of rocks to amplify the fishes homeland. Anchovies, which I detest, were so moist I wanted more, with the black cuttlefish shavings on top perfecting the flavours. 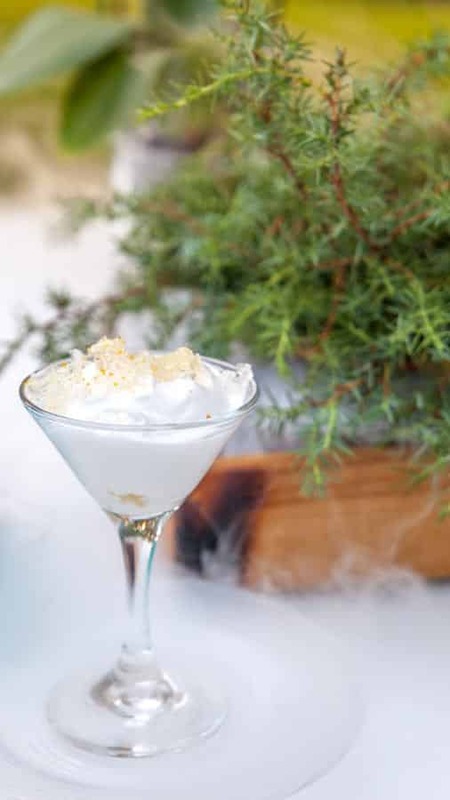 Each dish outdid the last and by the time a Gin and Tonic sorbet rounded off the meal, complete with dry ice and herb infusions floating across the table I was convinced I would never have a better meal again. Surprisingly Tomaž had found the time in recent years to create his own Gin, fresh back with a gold award from the USA spirit society. I took my final sip of Vipava wine gazing out on the mountains, the last sun rays of the day dancing on white church spires, and I started grinning. I don’t remember a time in my adult life I had felt this relaxed, this well-fed or this happy to have been in the company of so many welcoming strangers. My time in Vipava Valley had left me full, full of bespoke wines, full of remarkable foods but more importantly, full of good vibes and heartwarming moments. 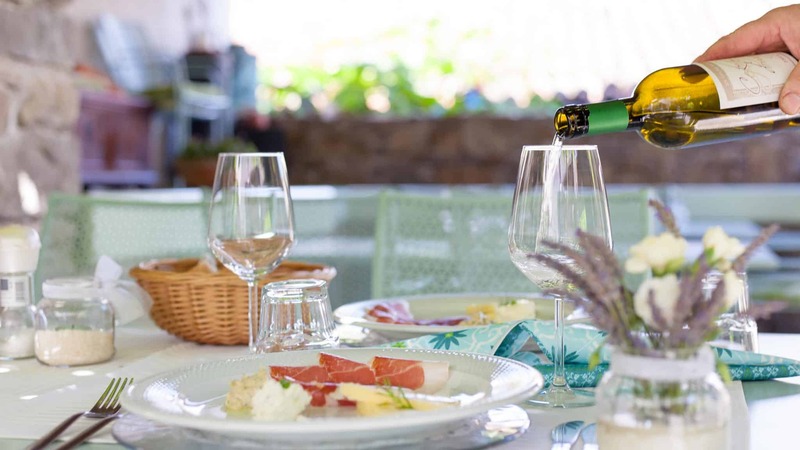 Vipava Valley isn’t just a foodie destination, it’s a feel-good destination, and I raise a glass to anyone who stumbles upon this Slovenian secret, promising you this, you are in for a treat! 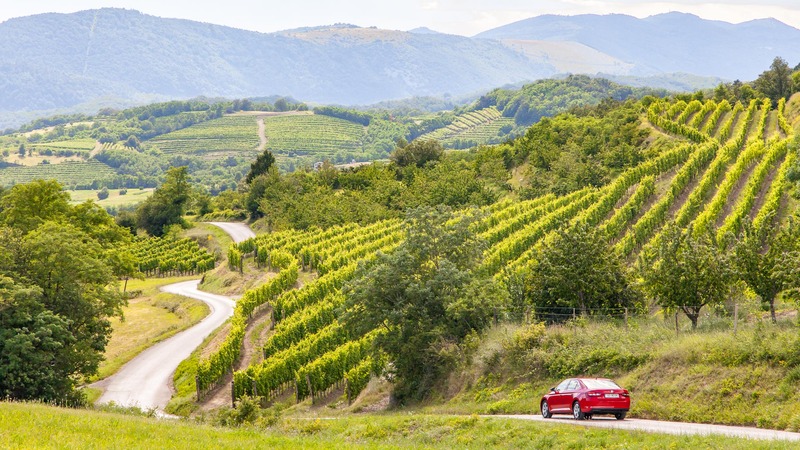 How to get to the Vipava Valley: Both trains and buses run from Ljubljana, where international flights also connect. 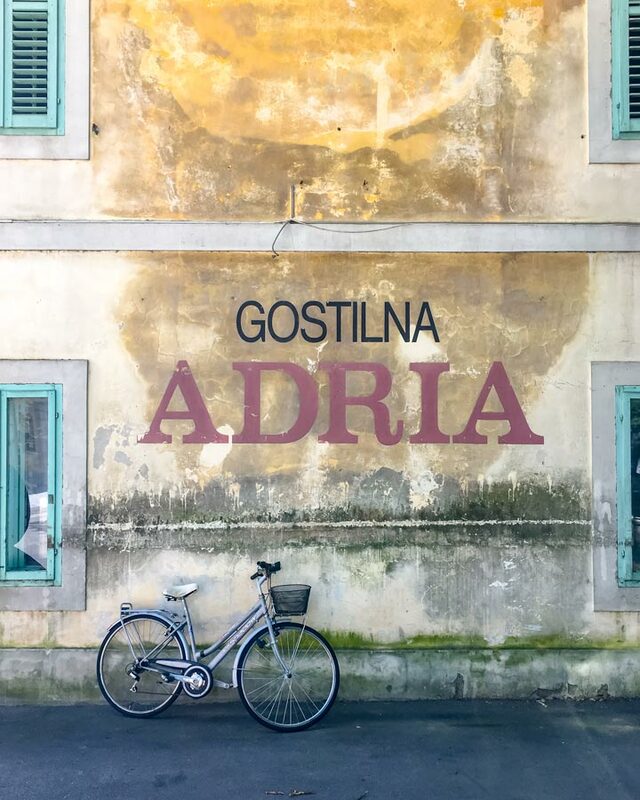 Trieste in Italy is also close by while Venice offers better fight connections for most, and transfer can then be used to Vipava Valley. wow daniel you have described the valley beautifully but we are not able to visit there i hope one day i will visit . Just wonderful! 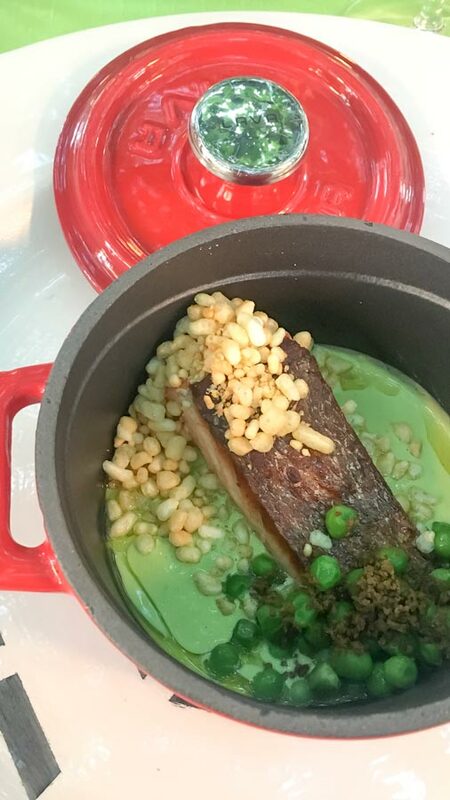 The scenery adds more to the presentation of dishes than the plate itself. Great read and photos. The word sustainability is of immense importance. Sustainable growth is the need of the day. 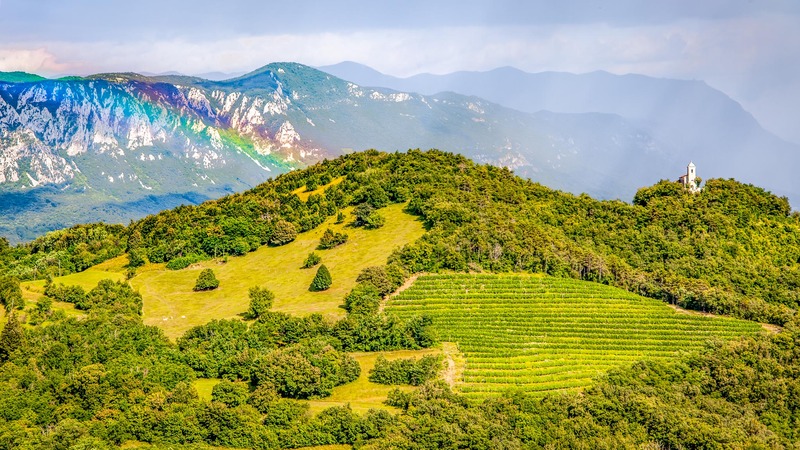 Vipava valley stands tall on that front. Thanks for sharing. Wow. You described “our” valley so beautifully. Most of the times we don’t pay attention to it’s beauty and take it from granted. Thank you for show us our home from you eyes. It was very heartwarming to read.